I get at least 20 e-mails every month regarding how to lighten dark underarms. 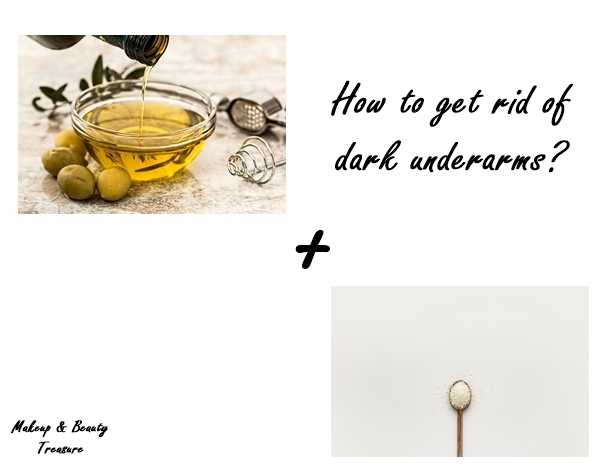 I too have faced this issue and today I am going to share a DIY that was given by a parlour wali aunty and with regular usage, it works in lightening your dark underarms. Before starting with the DIY, make sure you always get your underarms waxed. DO NOT USE RAZOR. Take a teaspoon of sugar and mix adequate amount of olive oil. The consistency should be such that it can be mixed easily. Gently massage the mixture on the dark area for a minute or two. You need to do this DIY twice a week to get optimum results. Olive oil is very hydrating for the skin and sugar acts as a natural and effective exfoliate. I had personally used and found it very effective in lightening my dark underarms. Make sure you use it regularly. What do you do in lightening your dark underarms?